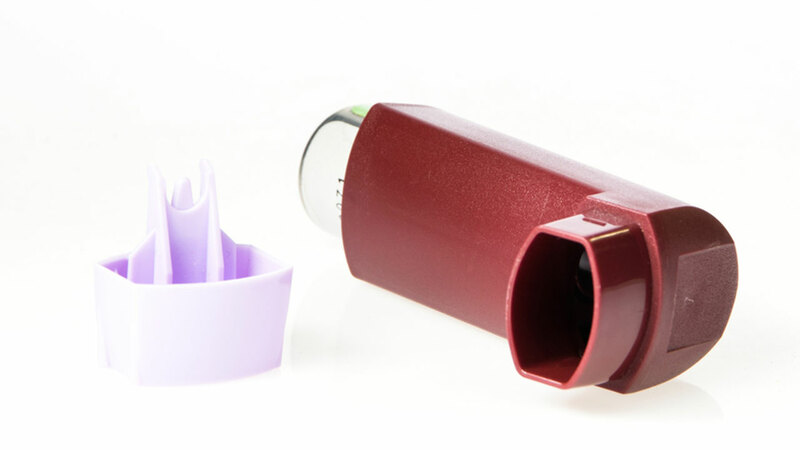 An inhaler is shown in this photo (Shutterstock). GlaxoSmithKline is recalling more than 590,000 albuterol inhalers. Three lots of Ventolin HFA 200D inhalers have been voluntarily recalled due to a potential issues with the delivery system, a spokesman for the British pharmaceutical company said. The affected lot numbers are 6ZP0003, 6ZP9944 and 6ZP9848. The devices have been recalled from hospitals, pharmacies, retailers and wholesalers in the United States. "There is possible risk that the affected inhalers could potentially not deliver the stated number of actuations," spokesman Juan Carlos Molina wrote in an email. "We continue to investigate the issue in order to identify the root cause and implement appropriate corrective and preventative actions." Patients whose inhalers are among the affected lots can contact GSK's customer service center at 1-888-825-5249. If the devices are not relieving symptoms, patients should seek medical treatment right away. When functioning properly, the metered-dose inhaler releases a fixed dose of medication in aerosol form. Metered-dose albuterol inhalers are used to deliver medication into the body through the airway and lungs. Albuterol opens airways in the lungs to treat common conditions such as asthma and chronic obstructive pulmonary disease.